I was getting itchy feet. It was time to make tracks into El Salvador. 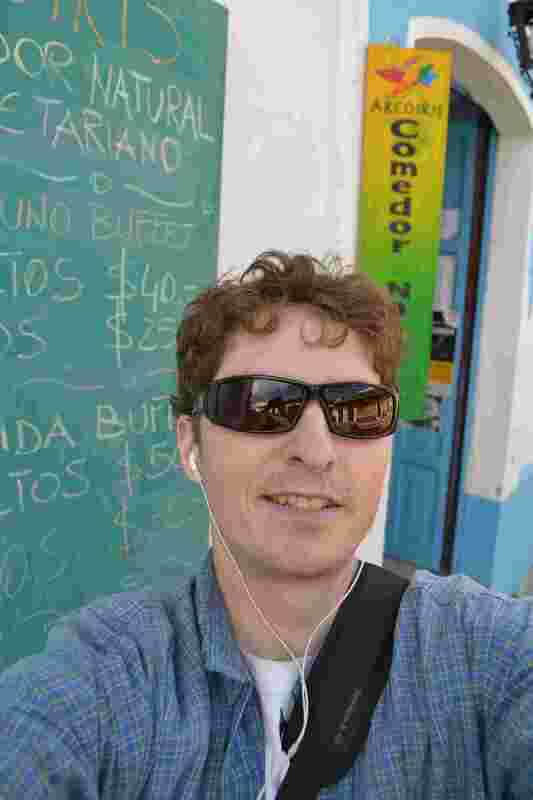 After Christmas in Panajachel, I had a few days in the lovely town of Antigua (somewhere I would have liked to have spent more time) before making it to Guatemala City. This was going to be a new experience for me – the big city, el capital – and so cycling into and out of here would be a challenge. Donning my face/dust mask (I don’t think it helped much) I dodged and weaved in and out of traffic, cursing the city drivers who wouldn’t indicate, the buses and their exhausts and tried to find another pair of eyes to keep myself in the clear on the road. Luckily though, the route was fairly straightforward and I managed to get to my hotel without too much trouble. A couple of days there and I was off (unfortunately missing out on a visit to UPAVIM [United For a Better Life], a local group of women’s artesans that also set up education for local children). On New Year’s Day. What better (and quieter) way to get 2012 off to a good start. In fact it was a perfect time to get out of the city as it was eerily quiet. I wasn’t too interested in finding the best party in town anyway for New Year’s, so an early start out was perfect. I rang in 2012 chatting on skype to a good friend, and that was good enough for me. It took two days to reach El Salvador, and my last night in Guatemala gave me yet another example of the generosity and warmness of the people I’ve met here. My map gave me the impression that the town I headed to was ‘big’, but it wasn’t. Asking a genteman who’d stepped off the bus if there was anywhere to stay in town, he said there wasn’t any hotels, but indicated there was somewhere I could find. He ended up taking me to his sister’s house! From day one, when I was helped by a young lad to push my bike up a short hill when I was slipping on the wet road, to this day, I’ve found the people in Guatemala to be hospitable, generous and welcoming. Most people here have very little and their warm attitude was quite refreshing and at times humbling. 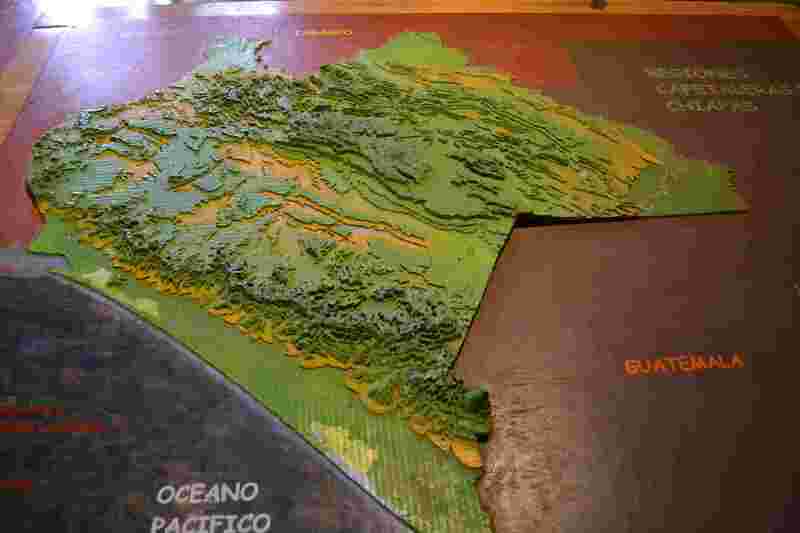 How would El Salvador compare? 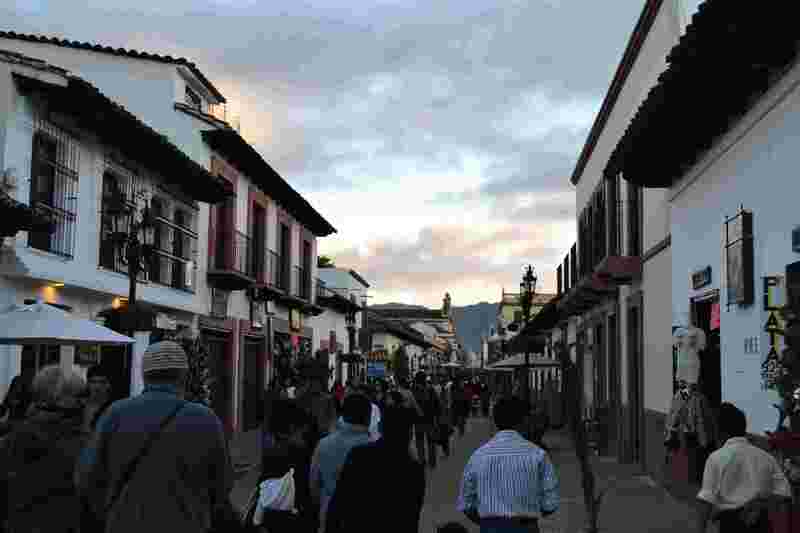 I made my way up and down a few hills to the relative metropolis that is Quetzaltenango (or Xela, it’s name in the local language). 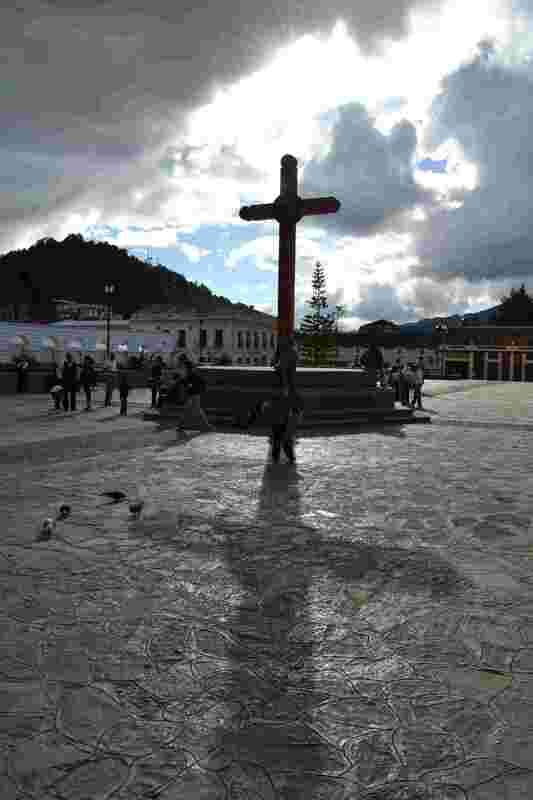 I was happy to get here for a little rest, gringo food, and to explore some local Fair Trade organisations. 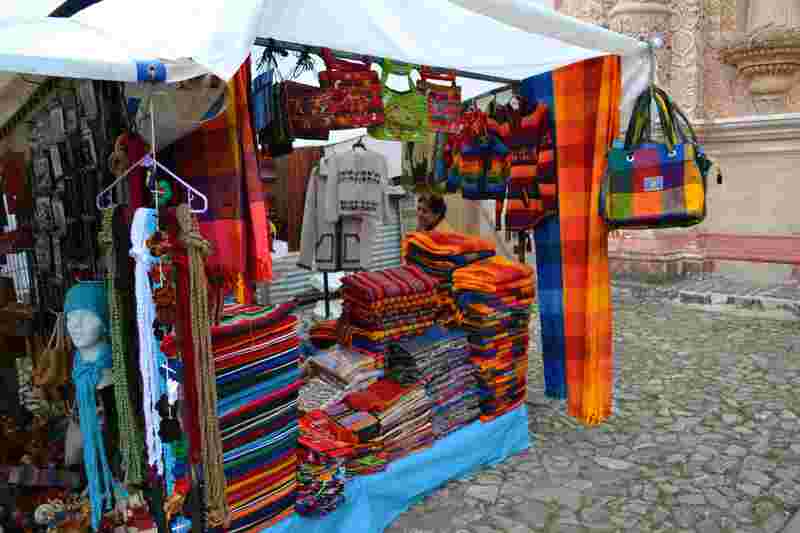 After recuperating from my volcanic experiences, I set about exploring the Fair Trade aspects of the city centre. 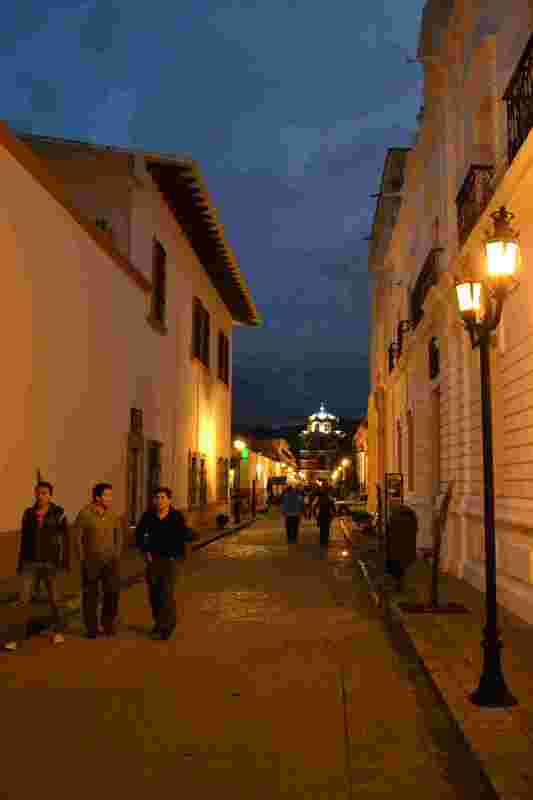 Xela is popular with outsiders and tourists for Spanish language schools and adventure touring. There’s a number of young gringos around the centre and several places that cater for this type crowd. Of most interest to me – food and Fair Trade. I found more than enough here to satisfy my cravings. 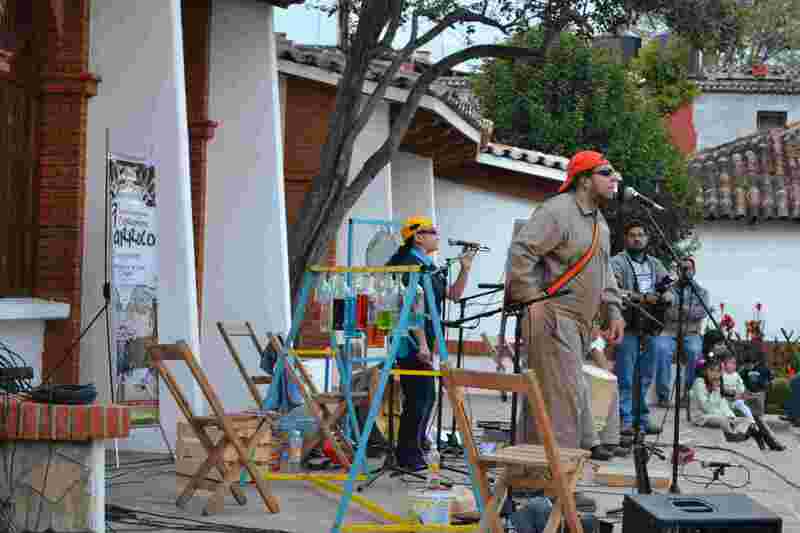 I started with a couple of places: Al-Natur and El Cuartito. El Cuartito is a western-style cafe and coffee shop that serves Fair Trade organic coffee that tastes rich, sweet and comes in western-style sizes. Perfect! Al-Natur is more interesting though, as it’s a Fair Trade shop and cafe. Al-Natur is run by Mario and his wife Carolina. Established three years ago, it’s a great little one-stop shop for local and regional “fairly traded” products. 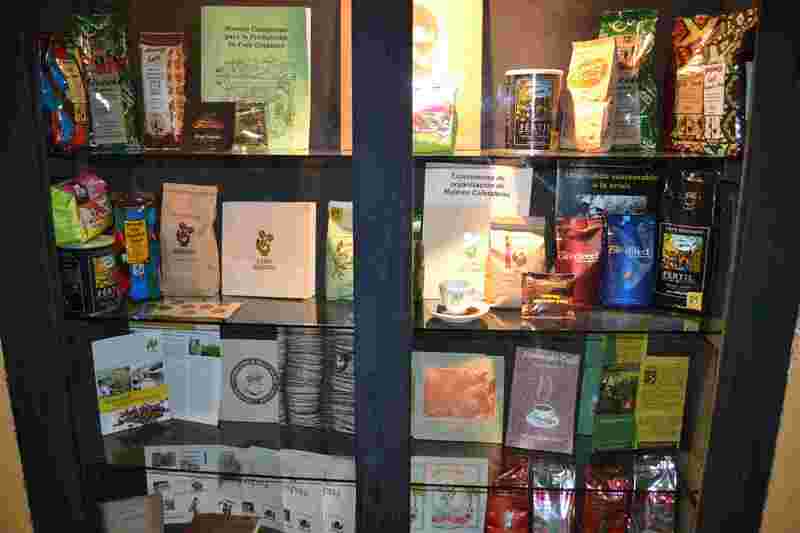 “Fair Trade” as a certification is rare within Guatemala, and really only exists for coffee that is exported to Europe and North America. 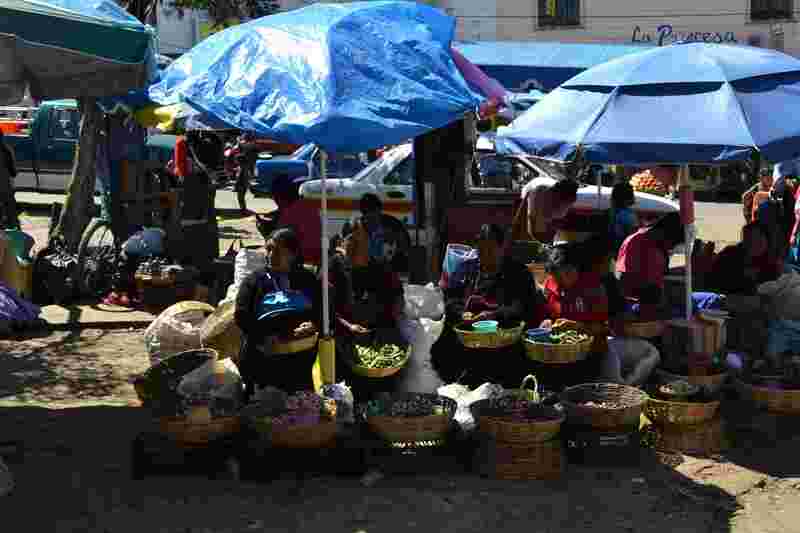 Within the country there isn’t any official “Fair Trade” certifier or organisation that supports Fair Trade (for organic, “Mayacert” does certification within Guatemala). So the products at Al-Natur, which are typical of the products from small producers, are made based on fair trade principles. Al-Natur sells quite a range of things: textiles made by women’s co-operatives and associations; shampoos and natural products; jams; granola; peanut butter; flour; tea; coffee; chocolate (for drinking); as well as others bits and pieces. Most products are developed by co-operatives and individual producers. Mario used to work in helping various women’s groups and co-operatives and so now Al-Natur is a place where those producers can sell their products. 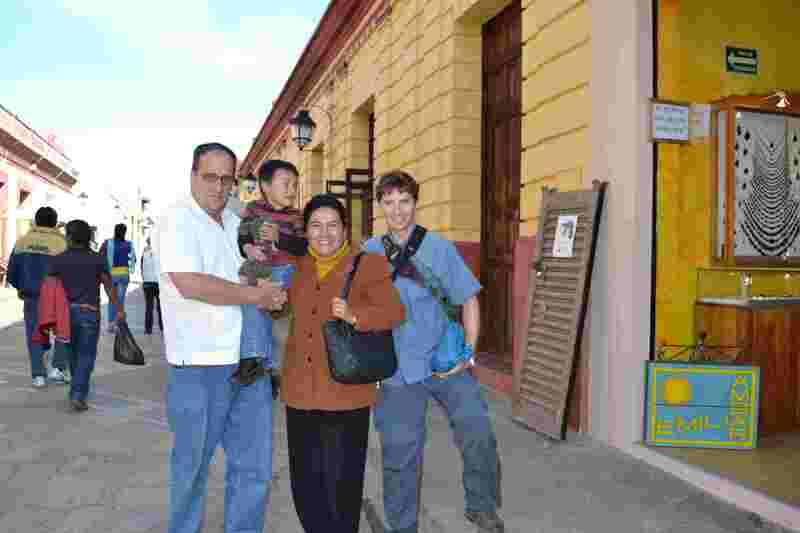 It was here that I found out about the Trama textile co-operative and ASICHOQ, the chocolate producer association. I visited both organisations last week. On the vegan and food side, I quickly found a few places that became favourites: Artesano for fresh bread (and vegan muffins! ), a place I stumbled into every day; the Blue Angel cafe for decent, simple food and vegan cookies; and Aeropagus where I had the odd bagel and some very tasty vegan apple pie. 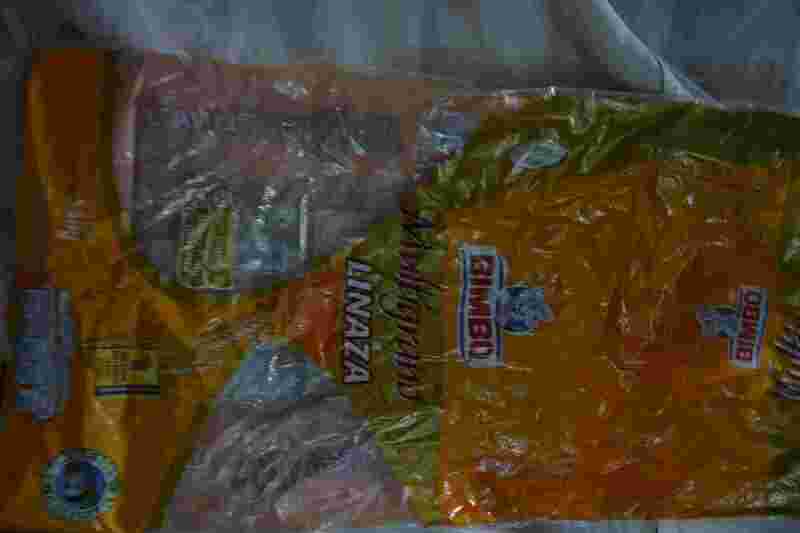 If you were reading this blog a few months ago, you’ll know about the fun I had trying to escape the tentacles of the Franz breadmaker mafia. Luckily Franz is a regional player, albeit with a lot more reach than I bargained for. 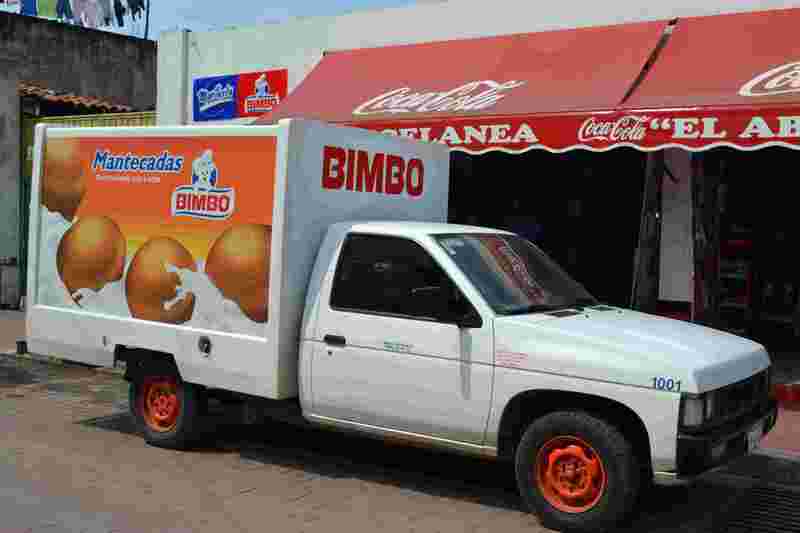 However, for bread in Mexico there’s just no getting away from Bimbo (pronounced Beem-bo). I can’t fathom the reasons for the name, but obviously it’s not the same in Spanish. The cuddly bear mascot reminded me of Mr Stay-Puft from Ghostbusters, and it’s an appropriate comparison given the size of the Bimbo company. Occasionally when I feel like a change from tortillas I check out the Bimbo offerings. A breadmaker mafia this size clearly has far-reaching tentacles and Bimbo are huge. Grupo Bimbo turns out to be one of the biggest food manufacturers in the world (http://en.wikipedia.org/wiki/Grupo_Bimbo). They’re only the 4th largest food company in the world behind Unilever, Kraft and Nestle and were the world’s largest bread manufacturer in 2010. Stick that up your pipe and smoke it, Franz! 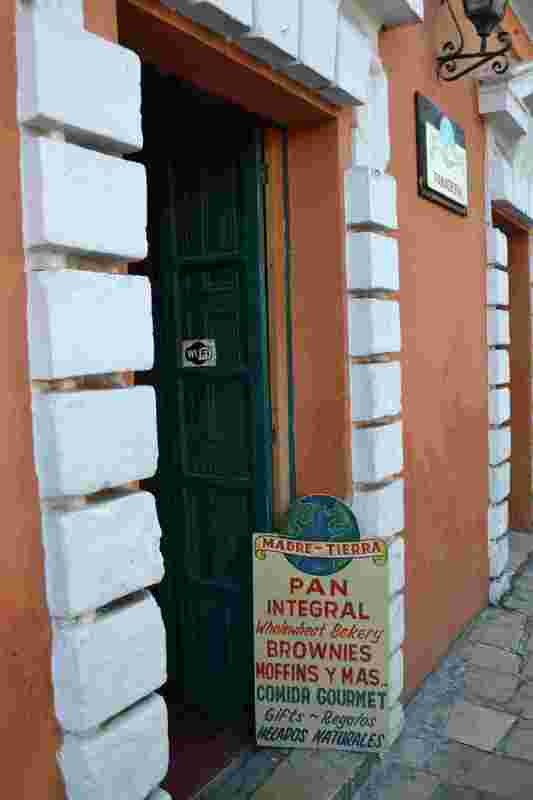 So there’s no getting away from them (except in San Cristobal where I found a number of great independent bakeries). I really know nothing more about Bimbo’s ethics – though I guess it operates in much the same way as any other huge multinational – but the bread I’ve found so far is vegan friendly. No random milk ingredients or sneaky dairy has been added (though plenty of other ‘un-natural’ ingredients are thrown in there), but I do get to ingest a wide range of interesting-sounding chemicals that are typical within modern bread that never goes stale. 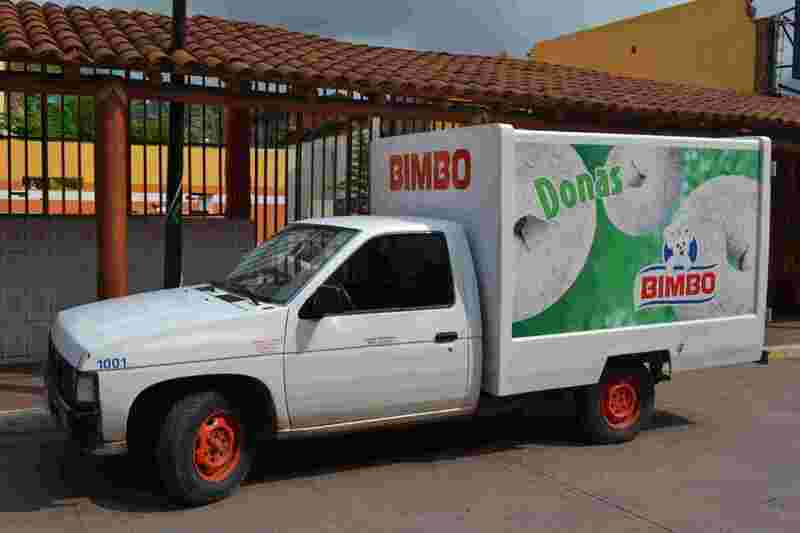 The other fun thing is seeing all the Bimbo bread vans careering around the towns and villages. I think this is where Postman Pat came after the Royal Mail gave him his P45 all those years ago.